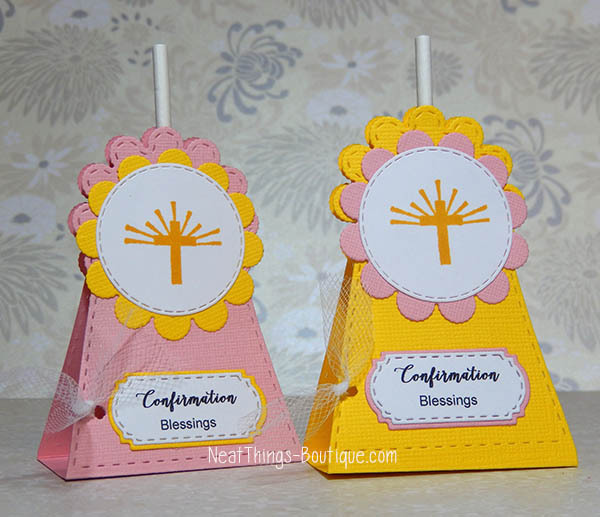 Here are lollipop holders for confirmation party favors. I added die-cut wraps, frames, stamped cross and printed sentiment then alternated the colors of pink, yellow, gold and white. There is a touch of tulle to make it more girly. My Creative Time Designer Challenge - I focused on pink, yellow, white & gold. Unity Stamp Co. Friends With Flair. Supplies include: My Creative Time Stitched Lollipop Holder, Scalloped & Stitched Circles and Chunky Jar Accessories dies, Unity Stamp Co. Everything Easter. Another shaker card. This one is for a birthday. I've been making lots of cards. Just finished a box of them for my Mom and now onto a box for my Mother-In-Law. With so many men on both sides of the family and their requests for birthday cards, you may see more masculine designs. 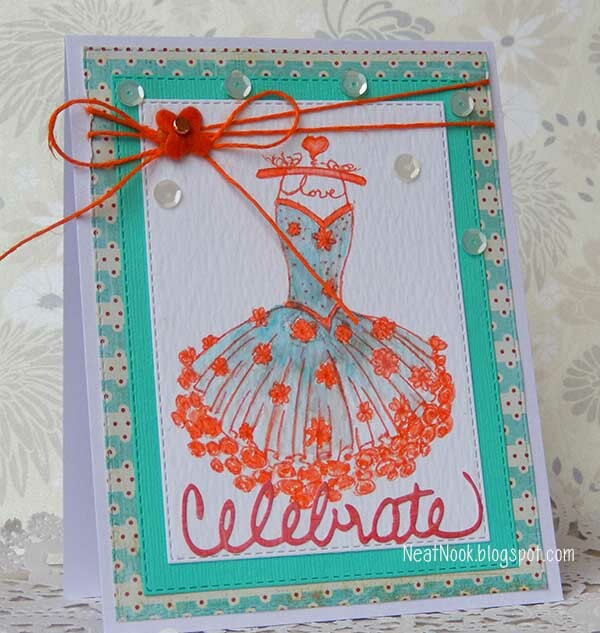 My favorite thing about this card was making my own sequins for the shaker windows using dies and punches. So FUN. Color Challenge 19 for My Favorite Things. 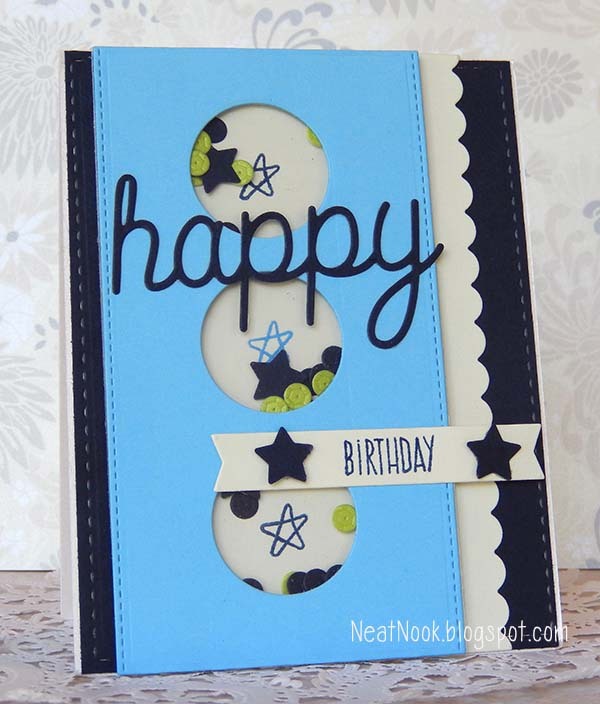 Supplies include: My Favorite Things Blueprints 23, Happy dies and Whimsical Wishes; Bazzill cardstock, Paper Trey Ink clear cardstock and Lil' Inker Designs die. Home is where they LOVE you. Shaking things up a bit with this little scene inside of a shaker card. 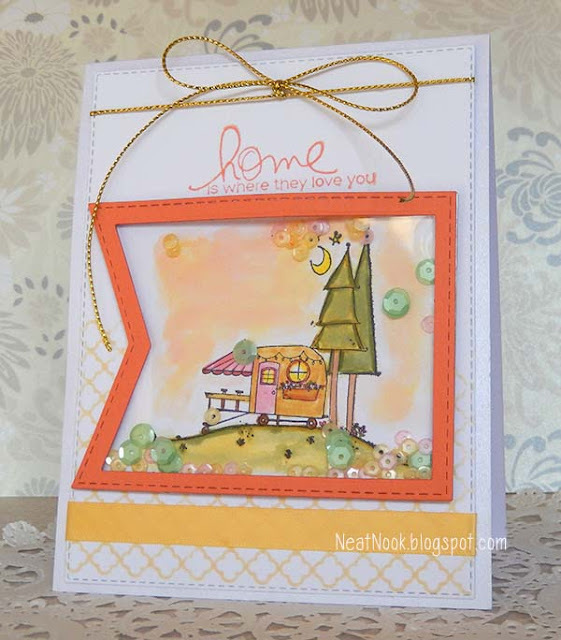 Front sentiment: Home is where they love you! I love the little scene. It looks like a perfect camping spot or tiny house escape. I made it a backdrop for this shaker card, filled with pastel sequins. Unity Stamp Company Color and Sketch Challenge 27 and Friends With Flair. Supplies include: Unity Stamp Co. Love at Home and Quatrefoil Background, My Creative Time Stitched Rectangular Frame Dies, Papertrey Ink clear cardstock, Pretty Pink Posh sequins. This one was designed with inspiration from a couple of challenges and I wanted to play with these beautiful roses and leaves. Altenew April Challenge: From Places Abroad China - The Forbidden City, Beijing. Particularly the ornamental panels framing the columns in bottom of the photo below along with the beautiful colors of blue, teal, green and rich gold were my focus. This is my first time trying these wonderful stamps and dies. I think I am hooked. I felt this would be perfect as a wedding or anniversary card. 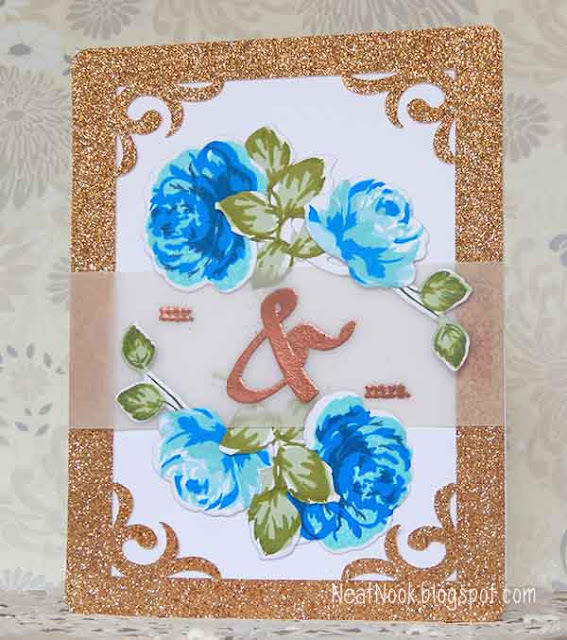 I placed an embossed vellum Mr. & Mrs. sentiment panel in the "middle" of these vintage roses. Supplies include: Altenew Vintage Roses and Super Script stamps & dies, Paper Trey Ink vellum cardstock. Today I used the colors of coral, aqua, turquoise green and white. I like this frilly dress with tiny flowers. This one is for my preteen niece. I gave the dress an ombre watercolor look. Supplies include: Unity Stamp Co. February 2015 KOM Happiness Looks Gorgeous, My Creative Time dies, Pretty Pink Posh sequins, K&Company flower. Here is a watercolor card for my Mama's Spring birthday and to celebrate Simon Says Stamp's 6th birthday. 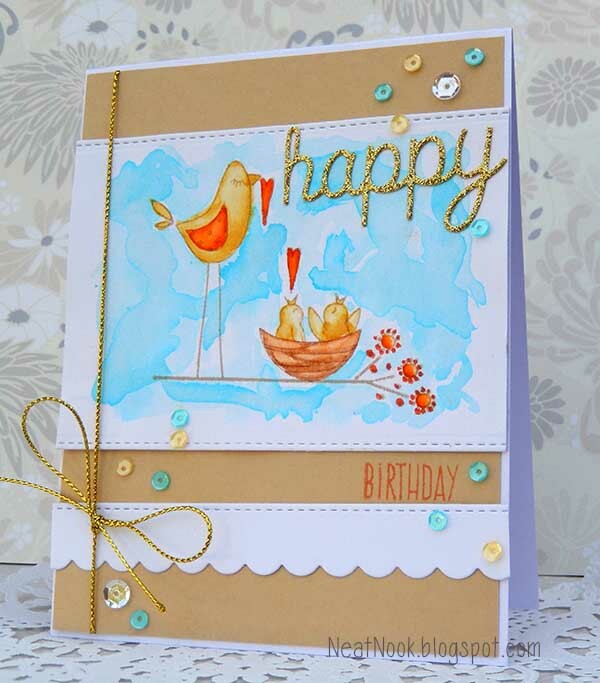 Supplies include My Favorite Things Blueprints 23, Whimsical Wishes, Happy dies and ink. Unity Stamp Co. Spring Unity, Pretty Pink Posh sequins.